If you are looking for a couple of full-body exercises you can do at home and hit multiple groups in one shot, then you are in luck. Lauren Boggi, creator of Lithe, is a fitness and lifestyle expert and celebrity trainer with more than 15 years of experience in the health and fitness industry. She gives us a look at a couple of her favorite moves she uses at her studio. A former Division 1A University of South Carolina cheerleader and Pilates instructor, Boggi was looking for a fun, creative and effective workout that she couldn’t find in the traditional fitness arena. She combined the best of her cheerleading and fitness background to create her Cardio-Cheer-Sculpting technique. In 2011 Boggi launched Lithe Foods and the studio-to-street line of activewear called Lithe Wear. She also has a super inspiring blog, fithiphealthy.com, discussing all things fitness, fashion and food. Start on your right hip, hands under shoulders, shoulders sliding down, and your chin tucked to your throat. Breathe in, then exhale to contract the abs and curl knees toward chest. Try not to power with your legs, but use your breath and abs to power the movement. Inhale and extend legs back to the original position. Exhale to contract abs and simultaneously rotate from the waist so your torso faces the floor and use your abs to drag knees and legs toward your chest. Inhale and rotate to return to start. This exercise should be done on a smooth surface, either wearing socks or with gliders under your feet. Start in a plank position with toes curled under, legs together, hands under shoulders, abs engaged, shoulders sliding down and your chin tucked to your throat. On an exhale, contract your abs and send power through your arms, pressing hands into the floor as you hinge at hips, lifting hips and glutes and sliding legs toward you. 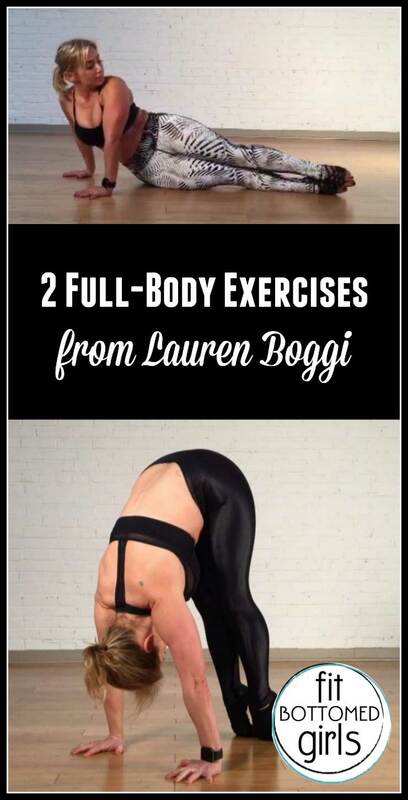 These sound like some amazing full body workouts – especially that second one! I’ve got to give it a try! Seems like a good way to work your arms and core at the same time.